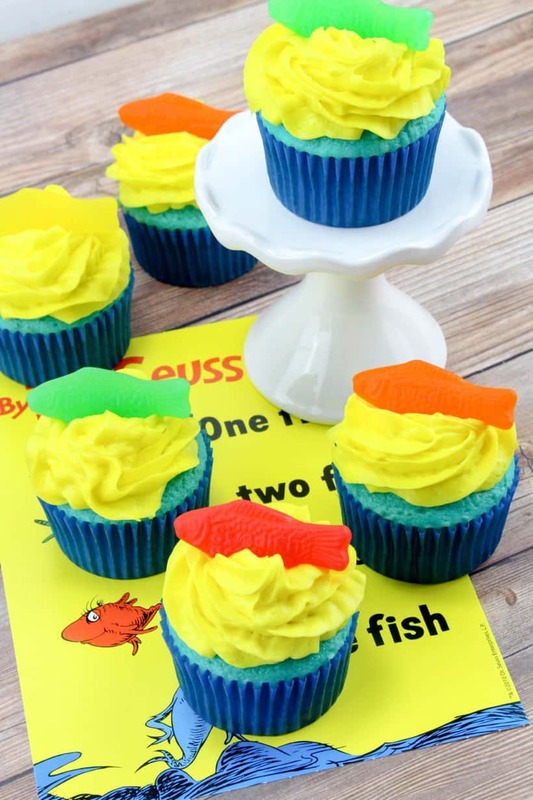 Dr. Seuss Day is just around the corner (on his birthday which is March 2nd). 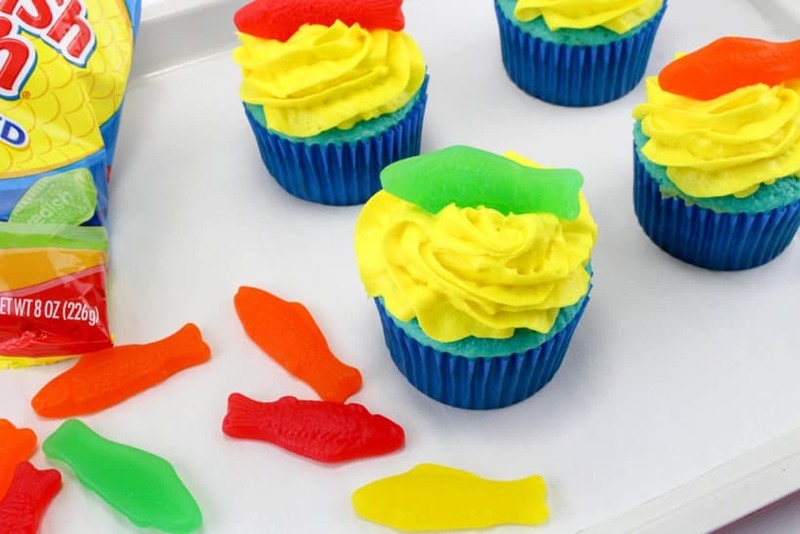 What a great day to throw a party to celebrate the fun of reading, right?! 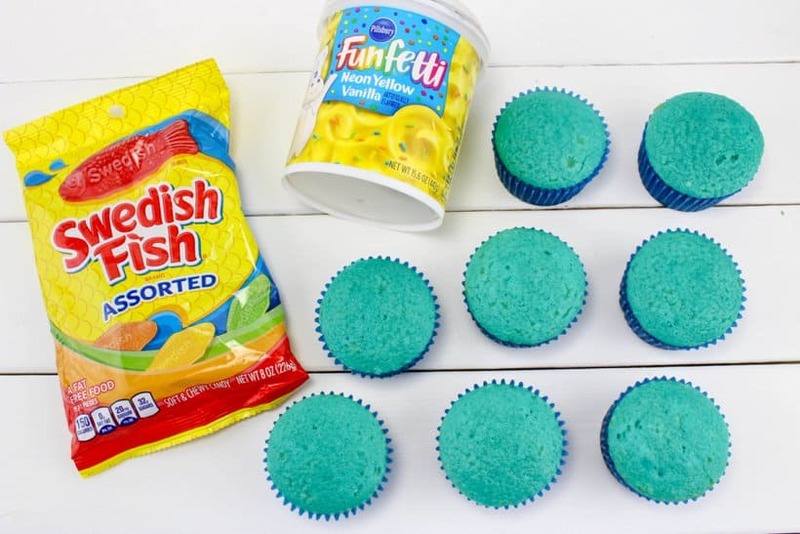 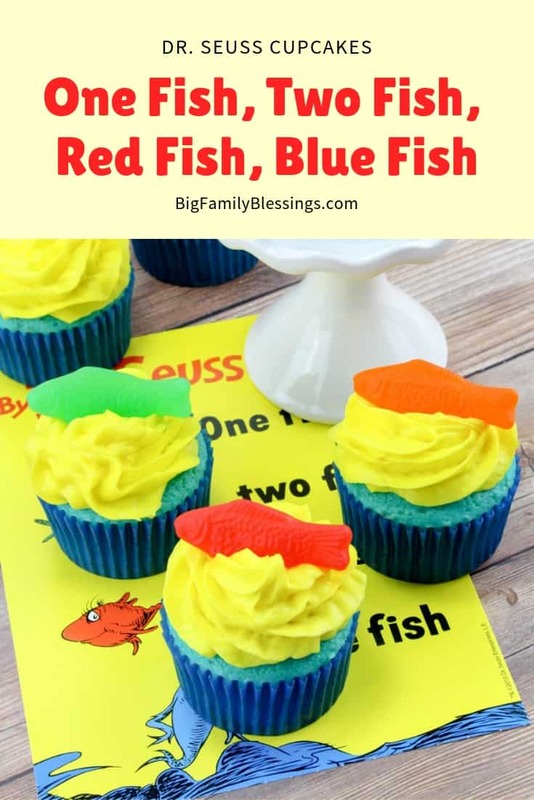 One Fish, Two Fish, Red Fish, Blue Fish has always been my favorite Dr. Seuss book, so these adorable cupcakes are my vote for dessert at the next Seuss Celebration! 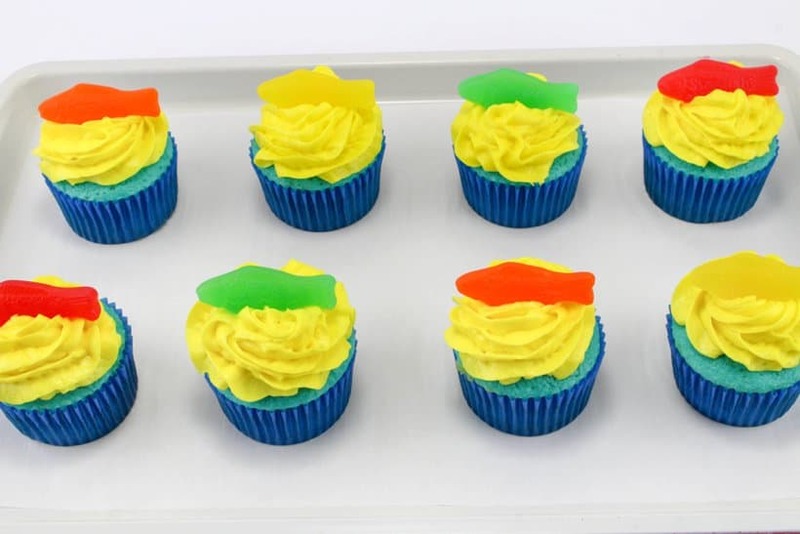 I always prefer to involve my children in party prep and planning, and these easy to make cupcakes are perfect to allow younger children to enjoy responsibility of helping with party prep. 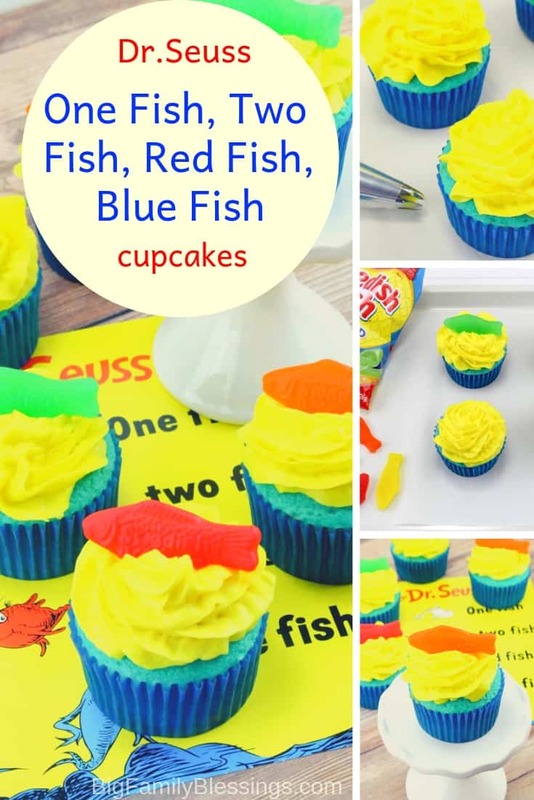 Super fun and yummy for a Dr. Seuss Party! 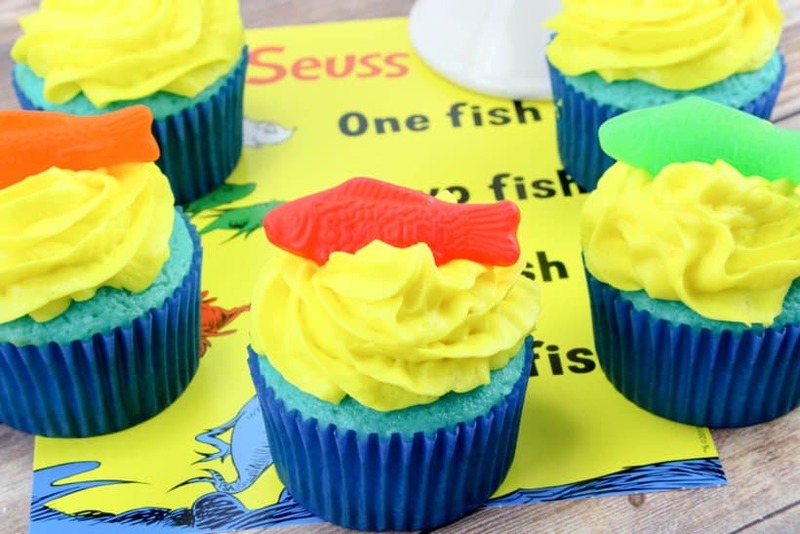 What will you include during your Seuss Day Celebration? 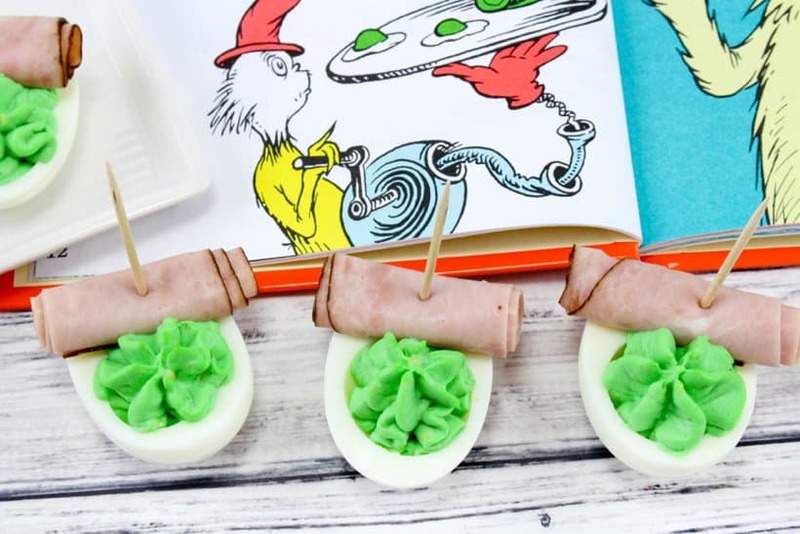 Be sure to check out these Green Eggs and Ham Deviled Eggs for another awesome Seuss themed party food. 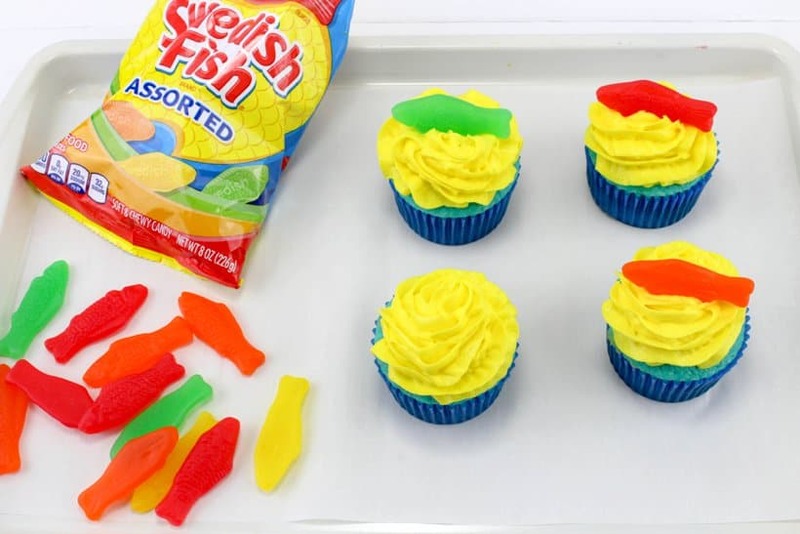 No Dr Seuss Day party can be complete without Thing One and Thing Two right? 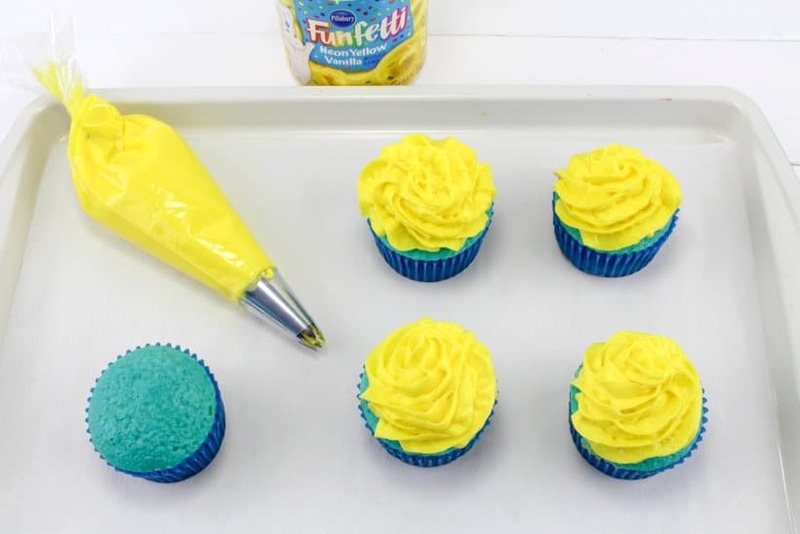 How about these adorable cookies and this fun paper craft?